Please, make yourself at home while browsing and discovering the life changing opportunities that will become catalysts for your future. Here at Alpha Gamma Xi, we are committed to providing opportunities for our members that will not only facilitate growth and development but help them achieve their greatest potential as current or past Soldiers, Airmen, Marines, Sailors and Coast Guardsmen. 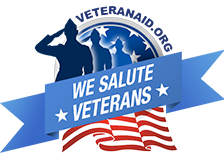 We have pledged to become far more than just a social organization; however, we do understand that to fully leverage and do so we must not forget to assist those who have paved the way, our Veterans. We have begun to conquer this by developing our S.H.E.R.O Initiative (Sorors Helping to Excel and Restore Others). We cordially invite you to continue browsing our website and to contact us with any and ALL questions. If you have been researching an opportunity for learning, fully exploring your passions, developing your gifts and talents, and transforming yourself and your community, you have officially found it at Alpha Gamma Xi. The leadership and members of Alpha Gamma Xi Sorority, Inc. understand the need to build meaningful, timely, and mutually beneficial partnerships. Our organization has aligned with organizations that have similar missions and also align with our vision. Please take a moment to read more about our partners and peruse their websites to learn more about their mission(s) to serve the military community. Women Veteran led organization focused on empowering Women Veterans to be resilient and independent, while strengthening them through education. Provide help as quickly as our means allow to enhance family life while fostering the community. Offer programs to build self-esteem and team-building tools to enhance economic circumstances. Mo's Heroes provides services to assist in reintegrating homeless veterans into meaningful employment within the labor force; and to stimulate the development of effective service delivery systems that will address the complex problems facing homeless veterans. (Iotas Saving, Healing, Improving, Empower Lives Daily) is a 5-point program that focuses on human trafficking, sexual assault/abuse, domestic abuse, elder abuse and child abuse through direct action and educational awareness programs and activities, in collaboration with national and international anti-abuse agencies and organizations. "Bridging The Gaps & Connecting The Dots For Veterans and Communities In New Ways....."
Veteran's HomeFront's (VHF) vision is to create a systemic solution to Veteran homelessness and Veterans suicides through a community collaborative model of grassroots community process management, community empowerment and Veteran peer support relationships. Our goals are to bridge the gaps of transitioning veterans by connecting them to the full continuum of resources available, including Vet to Vet programs, housing placement, career guidance, recreational activities, and other essential human needs with a cohesive strategic plan for the delivery of services through community collaborations.